Top 6 Most featured Apps for Android, there are millions of application on Market but selecting best android apps So that it will fulfill your need . 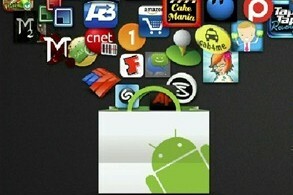 If you are an App Lover Like me then you will like to use and experience these diverse array of Application. Google drive is a Storage Option where you can store any document and can access them from anywhere. Use the Google Drive Android app to access your documents, photos, videos and other files stored on your Google Drive. Upload files to Google Drive directly from your Android device. AIVC is your personal assistant and can help to solve your need, This app is similar to Apple Siri app. This app will solve all your Problems and to take correct decision. AfterFocus, you can create DSLR-style background blurred photo by simply selecting focus area. Using this app you will enjoy photographing and photo editing . Phonedeck is the cloud dashboard for your Android Phone. Using Phonedeck you can easily manage your phone from your computer.you can easily read or write any SMS on the computer screen using your computer keyboard.Now no need to use your phone you can directly manage your phone through your laptop. Yahoo Weather gives Instance forecasts with some beautiful photos which will suits your current weather conditions. Enjoy Yahoo Weather – rain or shine with images of your current and favorite locations. Open signal Maps is used to find signal and it’s strength. It support Wi-Fi, GSM, CDMA, 4G, 3G, 2G. Open signal Maps will give signal direction, Signal graph, Map and radar views of cell towers & WiFi routers etc.